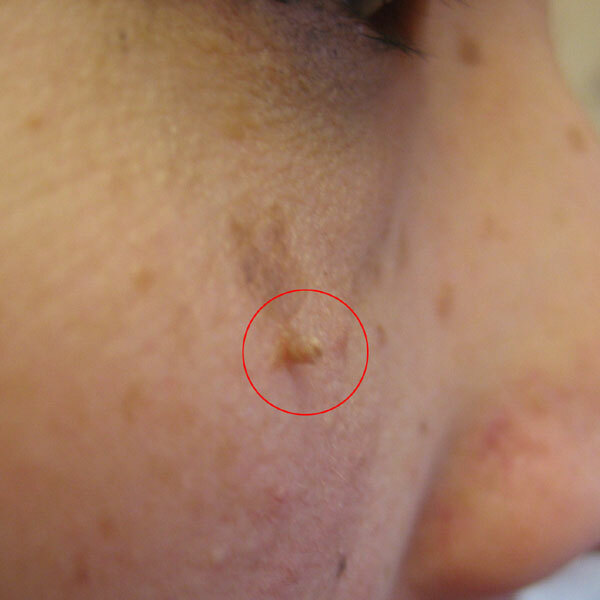 Skin tags are a common, benign type of growth that appear on the surface of the skin, often hanging by a stalk. They vary in size, growing as large as 5cm. They frequently appear in skin folds of the armpits, neck, belly, and groin. Skin tags appear more often in those who are obese or have type 2 diabetes. They are also called acrochordons. Are they cause for concern? Skin tags are harmless. However, if they resemble other growths, such as seborrheic keratoses, warts, or molluscum contagiosum, your doctor may want to examine them closely to rule out such conditions. The exact cause isn’t known, but they may result from skin that rubs against other skin, high levels of growth hormones, or insulin resistance. Because skin tags pose no danger, they don’t need to be treated unless they become irritated or cosmetically displeasing. In such cases, they can be removed by a procedure such as cryotherapy (freezing), excision, cautery, or ligation.